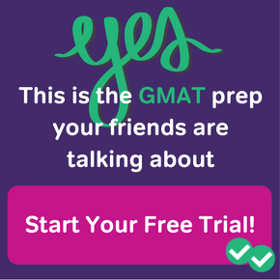 A very common question we receive from students is something along the lines of: “Can you provide/recommend a good study plan for someone who wants to score over a 700 on the GMAT?” Keep in mind, according to GMAT percentiles, a GMAT score of 700 puts one in the top 10% percent, and a score of 730 is in the top 4%. Also, remember: that is not 4% of the entire sporadically-educated human population, but 4% of the intelligent, college-educated, successful, and highly competent group that takes the GMAT. Getting into the top 10% or top 4% of this group is quite an elite achievement. In this light, think about that question. It is almost as if students are saying: please give me a step-by-step easy system I can follow so that I can be in the top 4%. Students often fail to appreciate the profound irony of this request. If there were some relatively straightforward and easy step-by-step system one could follow to get into the top 4%, everyone would do it, and there would be much much more than 4% of the population in that top 4%!! Much more than 4% of the population out there has access to high quality resources of one sort or another, including thorough treatments of GMAT content and highly effective GMAT strategies. Certainly Magoosh students get all this, as do students of other high caliber GMAT test prep companies. With all this access to good information, why is it that only 4% of the GMAT-taking population scores 730 or above? The great philosopher Aristotle (384 – 322 BCE) said, “We are what we repeatedly do. Excellence, then, is not an act, but a habit.” If one wants to perform with excellence on the GMAT — and anything over 700 is truly excellent — one cannot rely on one’s study material alone to put one there. To achieve excellence, you have to embody it, you have to live it and bring that high standard to every aspect of your studies. The Roman poet Ovid (43 BCE – 17 CE) wrote: “To wish is of little account; to succeed you must earnestly desire, and this desire must shorten your sleep.” I hasten to add: getting adequate sleep is absolutely essential for deep learning, but the spirit of Ovid’s quote is: you can’t achieve excellence on the side; being a good step-by-step follower will not catapult you into excellence. Excellence must be the very breath and heartbeat you bring to your studies. Excellence comes from the heart. For example, one of the habits of an excellent student is: never make the same mistake twice. Think about that. When most people get a practice question wrong, they look over the solutions and say, “Oh, that’s how you do that,” and that’s it. For an excellent student, each question she gets wrong is a challenge: it’s a challenge never to make that particular mistake again. How many times would you have return to a question’s explanation, and how many times would you have to review the inherent ideas, until you were sure that you would not make that particular mistake again? This is no easy ideal. It’s not easy to reevaluate one’s level of understanding constantly, and strive consistent for deeper understanding. It is not easy to integrate stress reduction habits consistently in one’s life. In fact, none of the habits of excellence are easy. That’s precisely why the vast majority of population doesn’t practice them, which is why the vast majority of the population does not score over 700 on the GMAT, even with access to high quality GMAT resources. Most people want the excellent result, but most people are unwilling to commit themselves and do everything that is entailed in excellence. 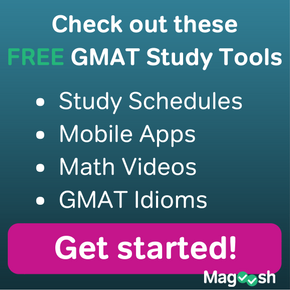 It’s worthwhile to get good study resources for the GMAT, but even the best resources are less than half the equation. Success depends only to a small degree on your materials, and to a much larger degree on everything you bring: your ability to learn and remember, your passion, your diligence and dedication, your enthusiasm, your curiosity, and your commitment. Excellence comes from the heart. If you can catalyze the excellence in yourself, you can get the most out of your resources. This was truly an enlightning and motivating post about having the right mindset while preparing. Thank you for your kind words. Happy studying, Varun! It is such a brilliant article. I truly felt very motivated to put in my best to this study plan. Thank you so much everyone at Magoosh, your video lessons are truly outstanding. Couple it with this kind of motivating words and that’s what makes you the best. A small confession here – Since the time I have started going through the lessons on Verbal SC, I have unconsciously started to evaluate all my sentences, whenever I write them. Be it at work, or here while writing this comment. Like am I missing out a verb, is the pronoun agreement correct. Haha, yes, it’s great practice when you can automatically start reading all sorts of things in “SC Mode.” Thanks for your kind words, on congrats on building up such awesome personal thought/study habits, Ankita! Can you please help me in building a study plan to score above 750 in GMAT according to my adaptability to GMAT Exam ? I have already taken GMAT Premium Course. 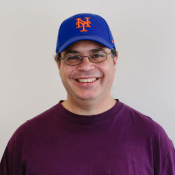 Since you are a premium member, someone on out Remote Help Team will reach out to you shortly. 🙂 In the meanwhile, I just want to make sure– have you checked out our complete list of GMAT study plans? You may want to consider using our three month Math-focused GMAT study plan, and perhaps adding some additional ambitious activities to it, so the plan can really take you to the 740+ that you need. Excellent plans and content, the videos are incredibly useful to understand the concepts and your teaching is superb. I have one issue – that I’m struggling to follow the study plans to a tee in the time that I have. For example – day 4 days “do 16PS questions” but whenever I get one wrong I like to watch the video to understand each question – this just takes forever. Is this the right approach and not following the plan exactly or would you say that the content of each day should be prioritised and stuck to. I always advise students to follow study plans flexibly. The amount of questions you see on each day of the study plan are suggestions on your general daily and weekly pace. But sometimes you need to spend more time on a question set, and stop to watch video lessons. You need to make sure you understand a question before you move on. So you really are doing the right thing, even if it slows you down for a day. That being said, you want to make sure you don’t fall behind. Try to stick with the recommended amount of questions on a weekly basis. If you answer several fewer questions than planned on one day, try to answer a few more questions than planned in the days that follow. “Success depends only to a small degree on your materials, and to a much larger degree on everything you bring:…” this line can boosts anyone’s confident. “If you make a habit of excellence, as Mr. Aristotle suggested,..” totally confident improving blog. How long should you prep really? The study plan above suggests 3 months, and that’s probably 10-15 hours per week (2 hrs/work day and 5 hours on the weekend). Over 3 months, that’s about 120 – 180 hours, which includes reading some books, so the true study time is probably 80 – 120 hrs. What if you study 2x or 3x of that and take 9 months instead of 3, can you triple your improvement? No, actually, your performance will be MUCH worse if you spread out your prep over a time period great than 5 months. Long study stretches are demotivating, hard to keep fresh, and ultimately ineffective as after 6 months, you start forgetting material faster than you can learn it and the time you will have to spend 75% of your time on refresh. It is much more effective to spend 3-4 months, and that’s what I would encourage you to do. “Success depends only to a small degree on your materials, and to a much larger degree on everything you bring: your ability to learn and remember, your passion, your diligence and dedication, your enthusiasm, your curiosity, and your commitment. Excellence comes from the heart. If you can catalyze the excellence in yourself, you can get the most out of your resources. I’m glad you found this helpful! Best of luck to you! Thanks for this article. 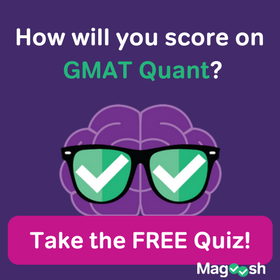 I have taken the GMAT twice now and my results have been quite similar (630 and 610 – after 8 months of prepping).. I am going to attempt to take it one more time, I know I need to do things differently to get to my goal of 700. It’s exactly what this article talks about. It’s indeed very very difficult to get it right because I do have the drive and the motivation but I’m still not quite at that level of excellence I need to be, to be honest I actually don’t think I’ve figured it out yet, but i’ll be darned if I give up just yet! You are quite welcome, my friend! 🙂 I’m very glad you found this helpful! Best of luck to you in all your studies! Great article !! Quite motivating. You are quite welcome! 🙂 I am very glad you felt inspired by the article! Best of luck to you!